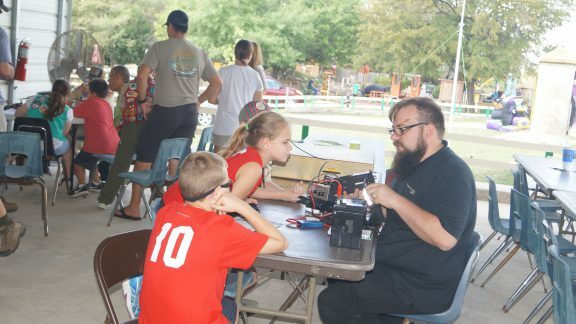 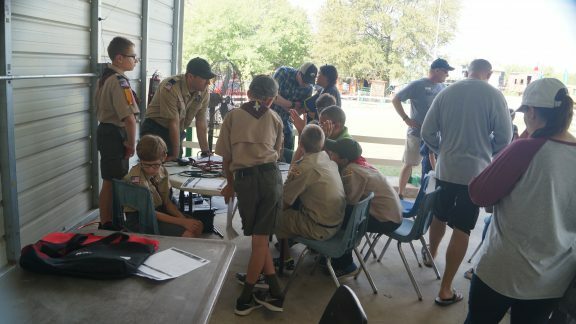 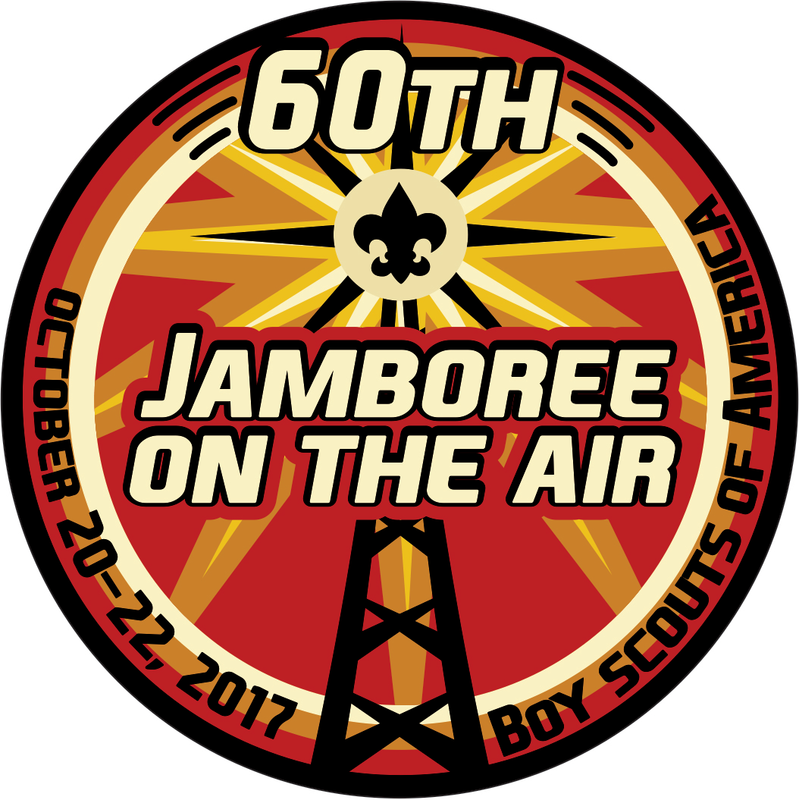 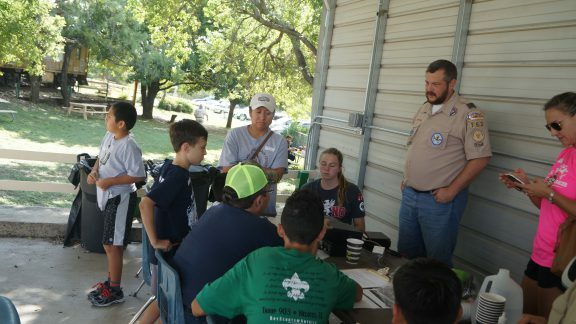 Jamboree On The Air (JOTA) is a nationwide ARRL sponsored event on the third Saturday of October. 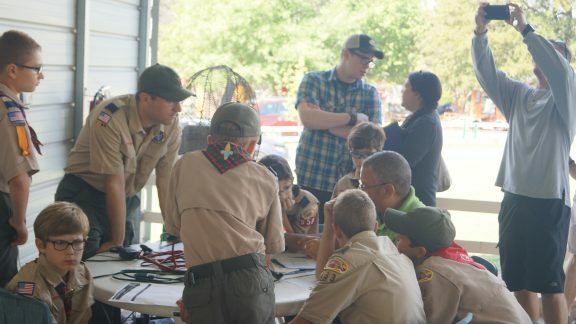 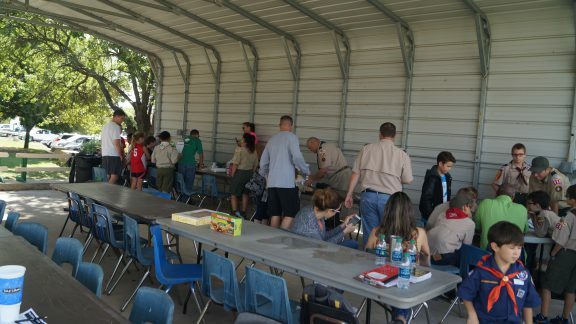 This event is for Boy Scouts, Cub Scouts, Girl Scouts, and Brownies. 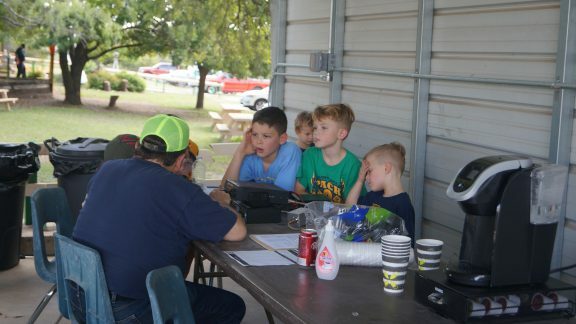 It is intended to introduce them to ham radio and, under supervision of licensed hams, get them On The Air. 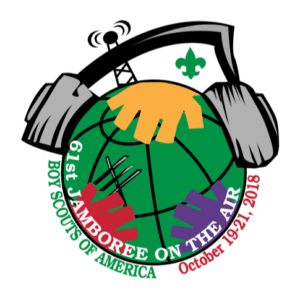 JOTA 2019 will be held on Saturday, Oct. 19, 2019. 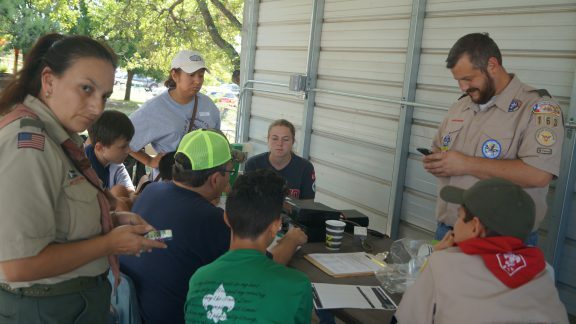 When more information becomes available, such as location and hours of operation, it will be published in the Bexar Wire newsletter. 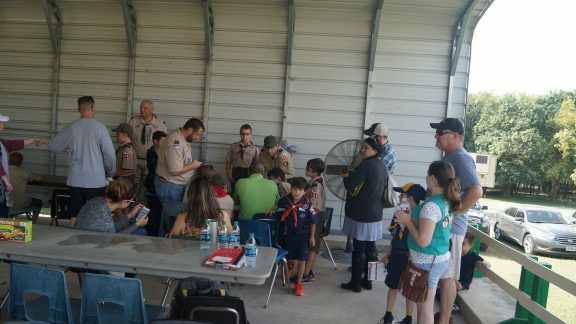 Rained out. 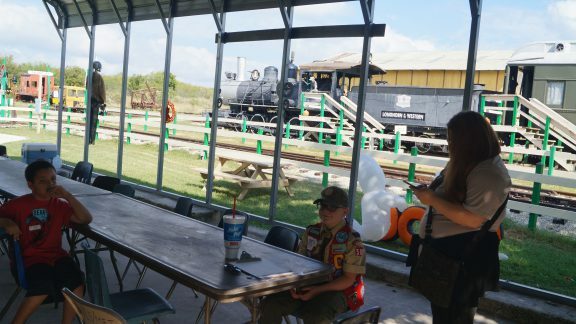 No event took place due to flooding. 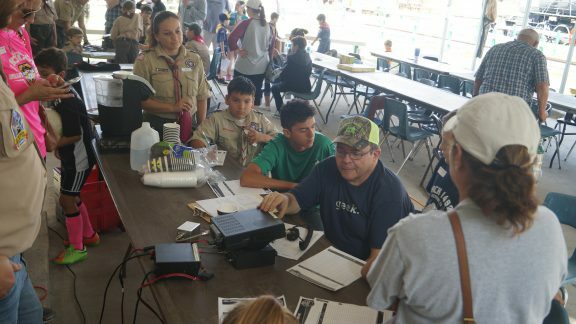 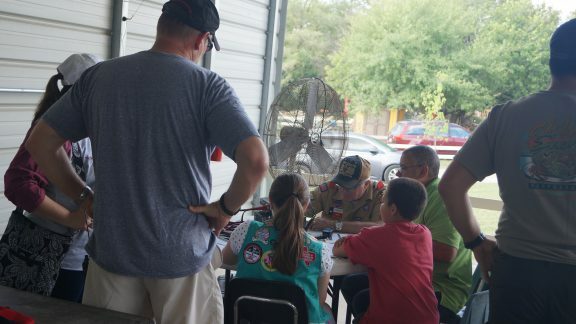 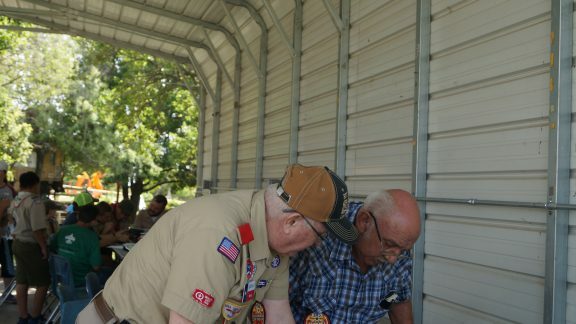 The operating hours were 10:00 a. m. to 3:00 p. m. Supporting ham radio operators arrived early to set up antennas and radios and stayed later to recover all equipment. 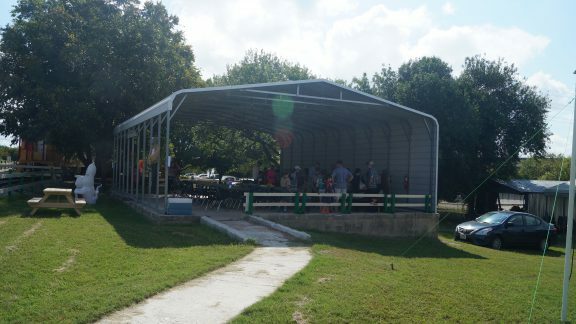 JOTA was set up in the Party Pavilion of TTM, which is along their tracks. 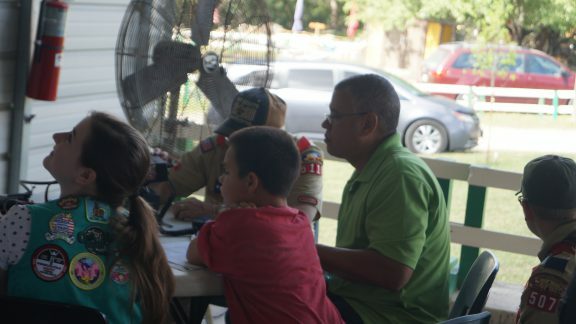 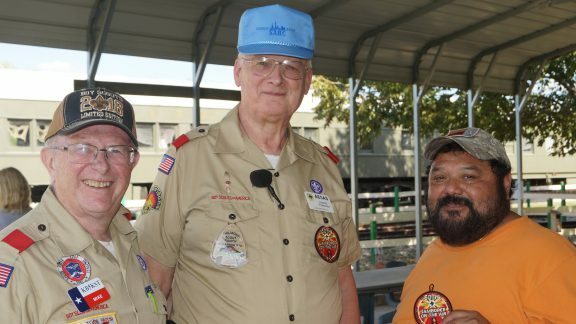 TTM admitted Scouts in uniform and their leaders for free and also admitted accompanying family members for free. 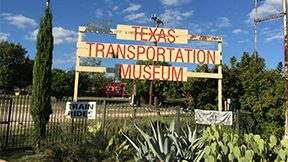 Everyone was permitted to see the exhibits at TTM and ride their 1:1 (real) train. 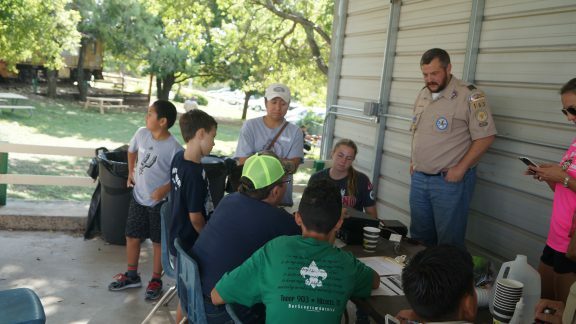 SARC held JOTA 2017 on Saturday, Oct. 21, 2017, the 60th JOTA, at the Texas Transportation Museum (TTM) in San Antonio, Texas. 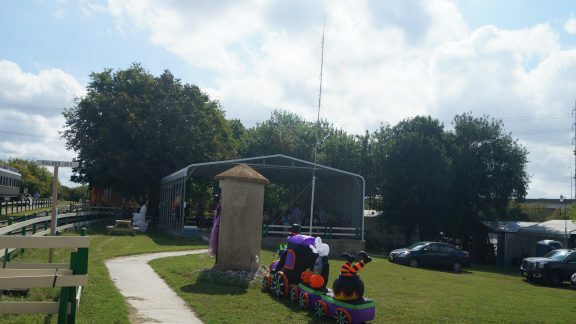 It was a successful event and TTM were just fabulous hosts. 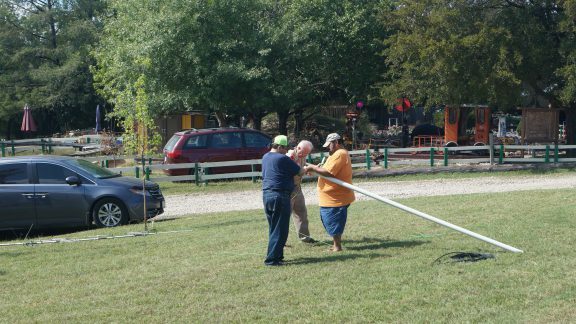 Gary (Mike) Harrison, KB5KST, Rosendo M. Guzman, Jr., N5YBG Assembling antennas.